While inquiries into early encounters between East Asia and the West have traditionally focused on successful interactions, this collection inquires into the many forms of failure, experienced on all sides, in the period before 1850. 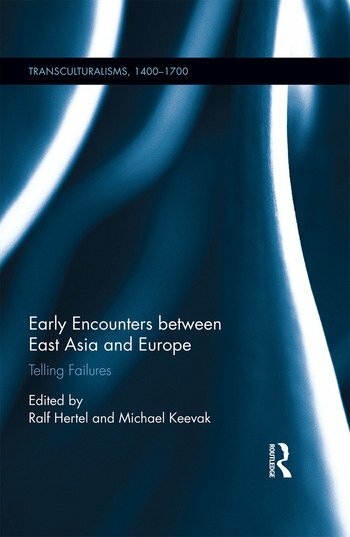 Countering a tendency in scholarship to overlook unsuccessful encounters, it starts from the assumption that failures can prove highly illuminating and provide valuable insights into both the specific shapes and limitations of East Asian and Western imaginations of the Other, as well as of the nature of East-West interaction. Interdisciplinary in outlook, this collection brings together the perspectives of sinology, Japanese and Korean studies, historical studies, literary studies, art history, religious studies, and performance studies. The subjects discussed are manifold and range from missionary accounts, travel reports, letters and trade documents to fictional texts as well as material objects (such as tea, chinaware, or nautical instruments) exchanged between East and West. In order to avoid a Eurocentric perspective, the collection balances approaches from the fields of English literature, Spanish studies, Neo-Latin studies, and art history with those of sinology, Japanese studies, and Korean studies. It includes an introduction mapping out the field of failures in early modern encounters between East Asia and Europe, as well as a theoretically minded essay on the lessons of failure and the ethics of cross-cultural understanding. Ralf Hertel is Professor of English Literature at the University of Trier, Germany. Michael Keevak is Professor in the Department of Foreign Languages at National Taiwan University, Taiwan.